Just a little 5-letter word that is scattered throughout the Bible and often refers to God’s presence, His majesty, His beauty, His creation. 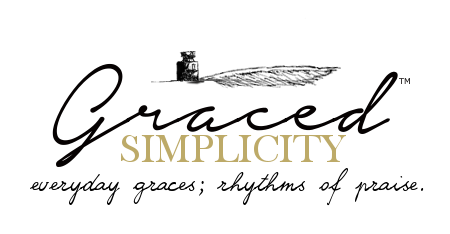 A word that is simple; yet so full of splendor and rich with meaning. When Christ followers are walking in the Spirit; our hearts will be kept in tune with the daily music God continues to create in our lives. The life of a Believer in Jesus Christ is never easy. Don’t let anyone fool you into believing that’s the case. It’s a lie. The Christian life is hard; yet unexplainably blessed eternally, and sometimes rewarded here on earth as well. A believer in Jesus Christ who is walking and abiding will discover God’s daily goodness, His greatness and faithfulness in good times and hard times. Through the simple yet the extreme gifts, through the everyday details of life. My desire is to train my eyes to seek out God’s Glory in the everyday, and to point it out directly, because the only reason for any of it…is Jesus. As the cover of 2017 is gently being unwrapped – it’s gleaming bright; and its corners are yet untouched or bent out of shape. The pages are newly crisp and I can’t help but ponder what adventures and trials I will face in the next 365 days. Most likely there will be valleys to cross, fears to be conquered and undeserved blessings too numerous to count. I’m saddled up and ready to ride. I pray that wherever and whatever the Lord chooses to teach me, bless me with, or show me. My deepest heartfelt desire for 2017 is to give Him Glory for what He continues to do in and through me – as well as the work He continues do in my family. 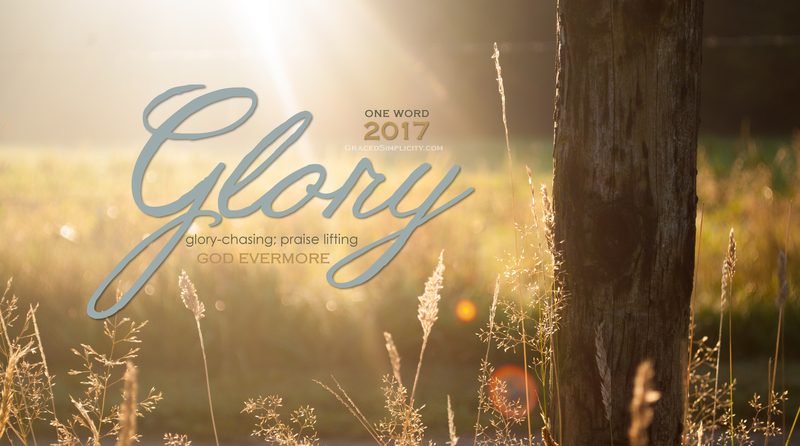 This year not only is my daily goal to continue spending time in God’s Word and more prayer – but to be in constant “glory-chasing” “praise mode.” Watchful of all things that deserve God’s Glory and utmost adoration. One way I plan to do this is by keeping a consistent “Glory-Chasing; Praise Lifting Journal” right here on the blog. Not for me, but for God’s Glory alone. I’m still working out the details how I will share these glory-chasing moments. So, when I become overwhelmed with goodness by a sunset and it’s breathtaking colors my goal is to turn and remember and praise the Lord for His majestic Glory. When I see the intricate way God has worked through a trial or a blessing I pray I will choose to name it, for His Glory. When I find myself caught up in the middle of the night with my baby girl, may I search out God’s Glory. When I find encouragement for my soul when it’s weary or even when it’s bursting at the seams with joy; may I look for a tangible example of His Glory. I pray that all this “glory-chasing” will become the way I breathe despite life’s circumstances, I desire to reflect JESUS in every area. Hears to shouting GOD’S GLORY from my little rooftop in 2017! Did you pick one word for 2017? Do you have a special goal you desire to implement into your life this year? I’d love to hear about yours in the comments! BIBLE VERSES I’VE CHOSEN TO REMIND ME OF GOD’S GLORY.